I've been tracking my walks and runs on Runkeeper for months, but I hadn't paid too much attention to the data until now. Before I looked at this, I would have guess I get 10 miles in a normal week. Last week was a pretty normal week, but I only walked and ran 4.4 miles! Nick cautioned me to be proud of those miles. I can't lie and say I am. I see them as a personal challenge, a very low base to build on. I want to shoot for 10 miles this week and get to where I thought I was! But those darned experts are all, "you should only increase mileage 10 percent per week!" Ugh, experts with their slide rules and their pocket protectors. Fine, my goal for this week is 5 miles. So I am still taking very seriously my intention to get my office organized this month by working on it a little everyday. 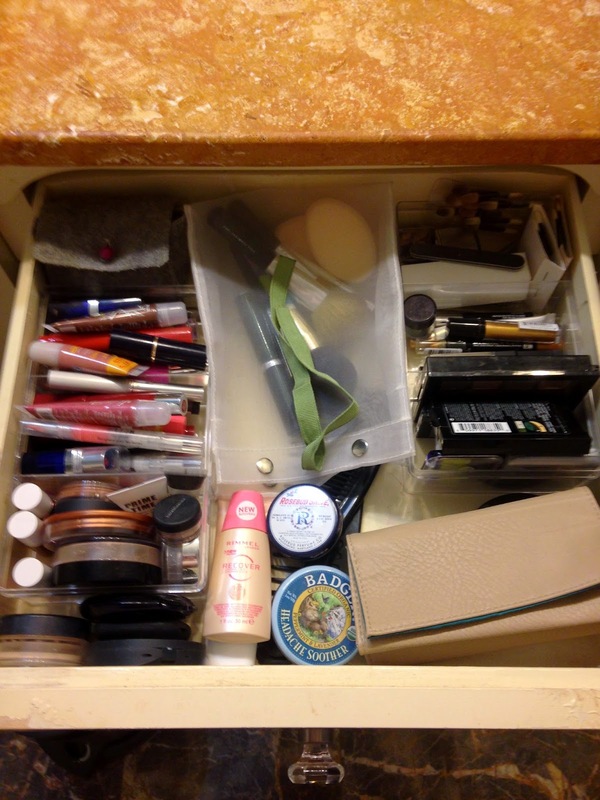 Obviously my makeup drawer is not in my office, so I will just count this accomplishment as a warmup. I don't want this now, but I might want it later. I don't like this tangerine pleated polyester knit -- and I haven't liked it in ten years -- but one day, I might find the perfect use for it.This kelly green liquid eyeliner is really high maintenance -- and I only wear eyeliner about once a month -- but some fun Saturday night I will wish I had it. I don't have time for this 1970s creative visualization workbook, but maybe one day that will be my thing! All of these authentic examples were F-R-E-E. It's not like I dropped some dough, and now I can't let go.